In the energy sector, the disadvantages of EU membership overwhelmingly outweigh the advantages, the Business for Britain lobby group has argued. 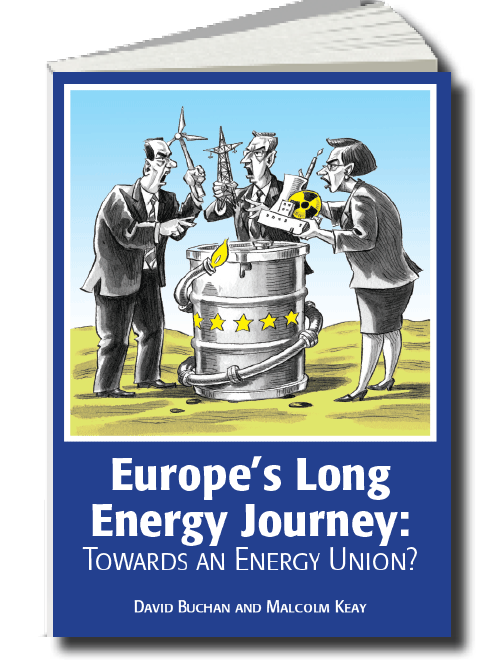 David Buchan and Malcolm Keay of the Oxford Institute for Energy Studies (OIES) and authors of a new book on the Energy Union, conclude, however, that EU constraints on UK energy policy have been minimal and benefits have been many. The consequences of a Brexit for the UK energy sector are not clear, they add, but there would be significant risks. An EU exit would not remove the legally binding UK climate targets under the Climate Change Act 2008 although it could increase focus on all aspects of UK-based generation. This could especially be the case if exit resulted in poorer security of supply through decreased interconnectivity to Europe, reduced harmonisation of EU energy markets, or less investment into the UK by multinational companies”. [ii] If there were only a narrow majority for Brexit, the UK would probably follow the course of maximum cooperation with the EU, but if there were a wide majority for Brexit it might perhaps choose to follow an independent course. The European Union faces a major energy challenge: it needs its energy union plan to succeed if it is to meet its international commitments under last month’s Paris climate agreement, at a cost which the European economy can afford. The task is complicated by today’s low oil prices, which increase the real burden of developing clean alternative energies. This new book argues that further Europeanization of energy policy is needed; it will help increase continent-wide economies of scale, remove national distortions from the energy market and prevent some EU states free-riding on the emission reduction efforts of other states. But the energy union plan will only provide these benefits if the right questions are asked and the right issues are tackled. 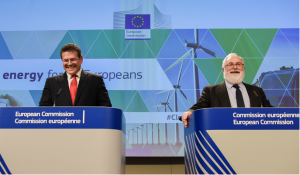 A key question that the European Commission architects of the energy union plan have not asked is whether the emissions trading scheme can of itself deliver a low-carbon energy system; the authors doubt it can and suggest innovative alternatives. They stress the need for the Commission to recognise the broken nature of Europe’s electricity sector, if Brussels is to make the electricity market reform promised for later this year meaningful. The book also presses for a widening of focus from energy efficiency alone to a much broader examination of the role that energy demand can play in the transition to a low-carbon economy. 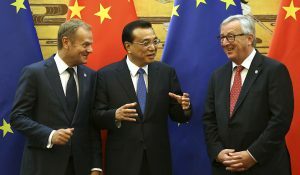 In addition, the EU should do more to take the solution to its energy insecurity into its own hands and to improve its internal energy market’s interconnections and resilience against external shocks, and rely rather less on the goodwill of foreign suppliers. The authors, based at the Oxford Institute for Energy Studies, have combined their specialized knowledge of energy markets and EU institutions to create a book for policy-makers, industry leaders, students, and anyone interested in whether Europe can fulfil its ambition to lead the international fight against climate change. To order a copy click here. The line-up. The protagonists are, on the Brexit side, an amalgam of opponents of wind turbines and solar farms on grounds of cost and unsightliness, of climate sceptics, some industrialists with energyintensive plants and, less vocally, a few smaller oil and gas companies which fear possible further EU regulation eroding their declining profit margins in the North Sea. A prominent Brexit supporter who has made energy policy a key reason for quitting the EU is the former Conservative environment minister, Owen Patterson; he claims “our current energy policy is a slave to a flawed [EU] climate action”. Those in favour of remaining in the EU, for reasons of energy and climate policy, are an amalgam of the environmental movement, the renewable energy sector, and the major gas and electricity utilities and oil companies. Most of the latter group are multinationals with shareholders and/or operations in the rest of the EU. Four of the UK’s Big Six generators are European-owned, and the two UK-majority owned ones, Centrica and SSE, favour the UK staying in the EU – as do the dominant oil majors in the UK part of the North Sea – BP, Shell and Total. This is not surprising. EU policy has actually followed the direction of UK policy, first with liberalisation of the EU energy market in order to foster cross-border integration and competition, more recently with intervention in the energy market in order to foster low-carbon generation. The Commission does not really like the interventionist measures of current UK policy, but has followed, and indeed facilitated, the UK’s policy U-turn by approving the huge subsidy on offer for new nuclear build at Hinkley Point and the UK’s capacity market to incentivise conventional back-up generation with capacity payments. Convergent UK-EU goals. The EU shift to a low carbon energy policy has not been a problem for the UK, because it accorded with a similar national shift that, if anything, began slightly earlier in the UK. The first mark of this UK shift was the Royal Commission on Environmental Pollution’s recommendation in 2000 that the UK should, by 2050, cut its emissions by 60 per cent below the level of 1990. The recommendation became incorporated into government policy. In 2003 the UK instituted its own cap and trade scheme in the run-up to the start of the EU Emissions Trading Scheme in 2005. The real milestone in UK policy was the passage, with only five MPs dissenting, of the 2008 Climate Change Act. This binds UK governments to cutting emissions by 80 per cent by mid-century and, along the road to that 2050 limit, requires the setting of ‘carbon budgets’ every five years. This goes well beyond anything required at EU level. So far-reaching emission reduction goals are something that the UK has imposed on itself. National renewable targets. Of all the EU-28 countries, the UK has the most stretching national target – an increase from 1.5 per cent of energy consumption in 2005 to 15 per cent by 2020. From the start it was clear that this target was set too high, and so it is proving. Although the current UK government still claims publicly that it is on course to hit the 15 per cent mark, privately it has admitted that the likely UK renewable share of energy consumption by 2020 will only be around 11.5 per cent. 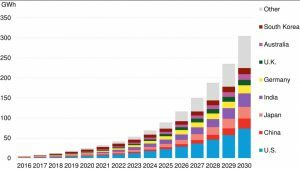 [iv] Of course it is also helping to make this a self-fulfilling prophecy by cutting back a variety of renewable subsidies. Much of the Brexit supporters’ criticism of EU energy policy is focussed on the cost to the UK electricity consumer of renewable subsidies to achieve the 15 per cent target. But the UK accepted its national target in the first place, and now seems to be effectively ignoring it. Moreover, partly thanks to UK pressure, it has been decided that national renewable targets will disappear after 2020. The ETS. The UK was enthusiastic about this market-friendly mechanism to reduce emissions. It has therefore been disappointed that the Commission mismanaged the early phases of it by allowing an over-allocation of carbon allowances, thereby depressing the carbon price below a level at which it could influence energy supply and demand. But the weakness of the ETS has not constrained UK policies: the UK government introduced its own minimum carbon price on fuels for power generation (and subsequently, under pressure from energy-intensive companies, delayed any increase in the tax. )[v] In any event, EU policy-makers have now approved changes to the ETS, which are designed to raise the ETS price and which may go some way to meet the UK complaint. EU anti-pollution directives. The Large Combustion Plant Directive and the Industrial Emissions Directive have accelerated the closure of UK coal-powered generators. But the generators, admittedly for the most part foreign-owned, could have gone to the expense of upgrading their plants to meet the directives’ requirement, and decided not to do so. Moreover, the final blow to UK coal power has now come from Whitehall, not Brussels, with the UK government decision to ban any coal powered generation from 2025 on. In sum, these EU constraints on UK energy policy are minimal, and have either been further minimised by EU action (in the case of renewable targets and the ETS), or made moot by UK national measures (on coal). To use these EU constraints to argue that the UK would be better off outside the EU, one would have to assume a wholesale rejection by Brexit Britain of long-standing clean energy and environmental goals and policies. What of the benefits of EU membership – to what extent would they be lost by leaving the EU? UK influence on the development of Europe’s gas and electricity markets. This influence has been considerable – not just in the push for liberalisation, but also for instance, the EU’s gas target model has been based on the shape and structure of the UK gas market. The decline in UK production of oil and gas, with the UK ceasing since the turn of the century to be self-sufficient in these fossil fuels, has sharpened UK interest in the development of continental energy markets, and in particular on being able to import gas and power from the continent on competitive terms. By leaving the EU, the UK would drop out of the two EU-wide regulatory bodies dealing with markets – the Council of European Energy Regulators (CEER) and the Agency for the Cooperation of Energy Regulators (ACER). Supporters of Brexit suggest quitting the EU would leave the UK free to join other international bodies dealing with energy. However, it is not clear that they have thought matters through – one particular suggestion from Business for Britain is certainly highly questionable. B4B suggests that the UK could join the Energy Community, whose members are EU member states plus non-EU countries mainly from the western Balkans, along with Ukraine, Moldova and Georgia. “The Energy Community is open to third countries, and the UK would be able to become a ‘party’ not a mere ‘participant’ after leaving the EU. It would also not be required to agree its position with the European Commission before any Energy Community meeting”. [vi] All this is correct, but it completely misses the point that the Energy Community is intended as an ante-chamber for countries wanting someday to join the EU, and in preparation for that day its purpose is the extension of EU energy legislation to would-be EU members. This is hardly company that Brexit Britain would want to keep. Energy security through integration into the European market. Breaking with the EU would not of course necessarily mean breaking the UK’s existing gas and power interconnections with EU states (though it might well create uncertainty about the future development of these interconnections). No doubt one transmission system operator (TSO) could still speak to another and the National Grid would remain a member of the European Networks for the Transmission of Electricity and Gas – Entsoe and Entsog – which have some non-EU members. These organisations play an increasingly important part in planning new infrastructure, for which there is some EU funding under the Projects of Common Interest programme which can extend outside the EU. 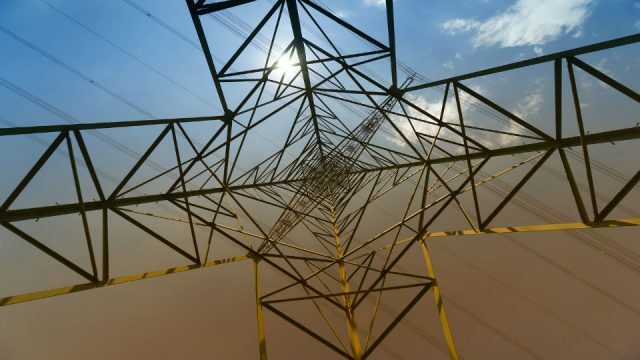 So Brexit Britain would have no reason to panic about energy security – but it would still have to consider the disadvantages of being outside the EU’s collective security arrangements and its negotiating strength with outside suppliers. On the other hand it is not realistic to suggest that there is a potential “tantalising” energy security bonus, as laid out in the Business for Britain prospectus for Brexit. “Leaving the EU would allow the UK to be certain of its energy security. The ability to discard damaging laws that hold back energy production and to dramatically decrease the price of energy (lowering value added tax on energy bills is an option that would immediately become available) offers real and tantalising opportunities for the UK energy sector”. [vii] On the first point, to the extent that there are damaging laws that hold back energy production, they are national (the end to nuclear power in Germany, the ban on shale gas in France and Bulgaria, the UK withdrawal from coal etc), not EU. 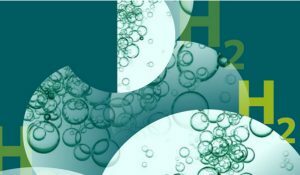 By contrast, the European Commission tries (admittedly very feebly) to promote nuclear power, and despite all the environmentalists’ calls for EU restrictions on shale gas exploitation has come up with its weakest possible regulatory response – a ‘recommendation’ of good environmental practice in any extraction of shale gas. On the second point about lowering VAT on energy, that does not seem a realistic option, in or out of the EU, given that the UK Treasury is still struggling to close the UK’s big budget deficit and that reducing energy taxes would undermine energy efficiency. UK influence in international climate negotiations. The UK has prided itself in being, along with France and Scandinavian members of the EU, instrumental in sustaining the ambition of EU climate goals. With Brexit, this influence inside the EU would disappear, and probably outside the EU too. The global scope of the United Nations climate negotiations is such that only the big players or big blocs count, not a medium-sized European state by itself. Withdrawal from the EU could pose practical problems closer to home. In quitting the EU, the UK would have to consider the implications for the Northern Ireland part of its electricity (and to some extent gas) system, which are closely integrated with an EU state – Ireland. Since 2007 there has been an allIreland electricity market, with the state-owned Eirgrid of the Republic owning the grid north and south and acting as the transmission system operator. Northern Ireland increasingly imports electricity from the Republic which in turn is increasingly dependent on gas imports from the UK. In principle, there is no reason why these flows should be affected by a possible Brexit; by leaving the EU the UK would step outside the EU’s common external tariff system, but wholesale energy trade is not subject to tariffs anyway. Moreover, the single Irish electricity market is underpinned by UK and Irish legislation, and not EU legislation. However, in practice, Brexit would create uncertainties, especially if a future UK government wished to impose different regulatory and market structures on its own systems. The half-way house of the EEA? The UK could retain almost all of the benefits of EU membership – and avoid some of the Brexit-related complications with regard to Ireland – if it were to negotiate an energy relationship akin to what Norway has under its membership of the European Economic Area (EEA). But EEA membership would involve more or less automatic acceptance of all the energy rules decided in Brussels. The UK, like Norway, might be consulted by the Commission on early legislative initiatives but have no vote in the two bodies that actually decide EU legislation – the Council of Ministers and the European Parliament. Whether the UK would be as willing as Norway to accept such hand-medown rules from the EU is very doubtful. Moreover, EEA membership also effectively involves accepting EU law and rules on competition policy and state aid. The latter is important, because government involvement, always considerable in energy, has further increased through the need to arrange public subsidies for renewable energy. The legal authority of the Commission to prevent EU governments spending their own money helping their own companies on their own soil – in the greater interest of preventing distortions in the EU single market – is perhaps the most supranational element in EU law. It is therefore something that Brexit Britain might well reject. If so, the alternative relationship that Switzerland has with the EU might seem, superficially, more attractive to the UK. Except in the one sector of civil aviation, Switzerland does not accept EU competition law and state aid rules. Partly for this and many other political reasons, however, Switzerland has no formal energy agreements with the EU, though it is part of the ETS and has multiple de facto energy trading links by virtue of its position right in the middle of the EU. The UK is not. In any event it would not necessarily be in the UK’s power to determine what sort of relationship it would have with the EU post-Brexit. 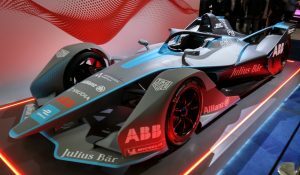 The arrangements would need to be negotiated and the negotiating climate might well be hostile, so the outcome could well be something less attractive than either the Swiss or the Norwegian model. In addition, the negotiations would undoubtedly take some time and create prolonged uncertainty, which would be likely to inhibit investment – and therefore both energy security and the decarbonisation process. In other words, there would be risks. The discussion above suggests that, as with many other aspects of a possible Brexit, the nature of the outcome in the event of a ‘Leave’ vote is not clear; it would depend on negotiations which have yet to take place. In any event, energy is not the main issue at stake in the debate – in practice, the UK has followed an energy policy of its own choosing and has had considerable influence on the development of EU policy. It also benefits from the opening of EU markets, and the collective approaches to decarbonisation and energy security. There may therefore be pragmatic arguments for staying in as far as energy is concerned; however, those who attach over-riding importance to the UK’s sovereignty and freedom of manoeuvre (particularly in relation to climate change measures) might favour energy Brexit for reasons of principle. This article was first published by the Oxford Institute for Energy Studies, February 2016, and is republished here with permission. [i] Business for Britain, Change or Go, page 491, July 2015. [v] In 2013 the UK instituted a carbon floor price or tax that was to rise progressively. But the following year it decided to freeze the pirce at 2015 levels for the rest of the decade. [vi] Business for Britain, Change or Go, page 485, July 2015. [vii] Business for Britain, Change or Go, page 494, July 2015.